The BJP's Nongthombam Biren Singh will take oath as Manipur's next chief minister this afternoon along with his council of ministers, making it four states out of five for the party from Saturday's assembly election results. Governor Najma Heptulla said she is satisfied that the BJP has the support of more than the 31 legislators in the assembly it needs and so has invited the party to form government. The Governor said she would like Biren Singh to prove majority on the floor of the house "as soon as possible, maybe March 22 or 23." The BJP has won 21 of Manipur's 60 assembly seats, 10 short of a majority, placing second to the Congress which has won 28. But while the Congress has been unable to show the support of four more legislators to make the halfway mark at 31 seats, the BJP claims it has the support of 33, though it is yet to hand letters of support to the Governor. The party has enlisted the support of regional parties National People's Party (NPP) and the Naga People's Front (NPF), each with four seats, and a single MLA from the Lok Janshakti Party. All three are BJP allies at the Centre, but strategically contested separately in Manipur. One Independent legislator has offered support as have, sources said, a legislator each from the Congress and the Trinamool Congress, there is a question mark on their status as one person cannot change parties without attracting disqualification from the legislature under the anti-defection law. 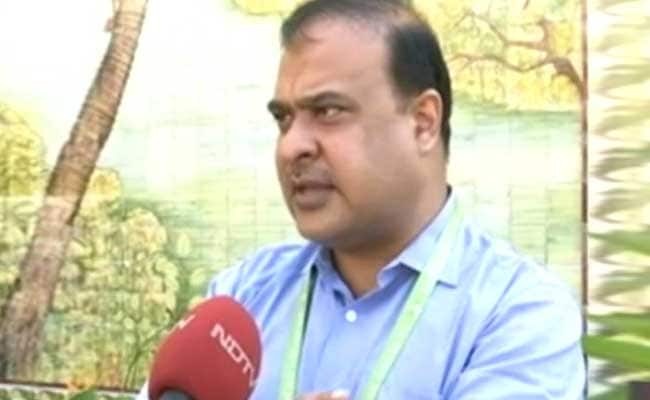 Himanta Biswa Sarma, Assam leader and the BJP's north east strategist, is the key architect of the BJP's swift move to form government in Manipur despite not getting the most seats. It has managed to do the same in Goa, where the Congress challenged it in the Supreme Court. 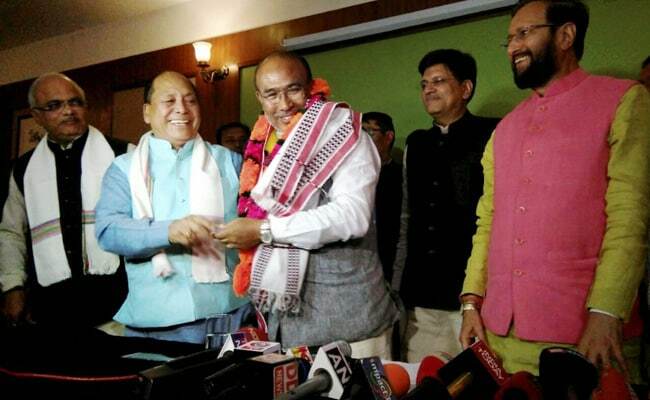 Biren Singh was named the BJP's choice for chief minister on Monday. Like Mr Sarma, he is a former Congressman and was once a key aide to the Congress' Okram Ibobi Singh, who was Manipur chief minister for the last 15 years. Biren Singh had joined the BJP in October last year. Congress Vice President Rahul Gandhi has accused the BJP of using "money power to steal the mandate," from the Congress, single largest party in both states. Okram Ibobi Singh had initially said he too would stake claim to form government but later said he would not. That was all on Monday. 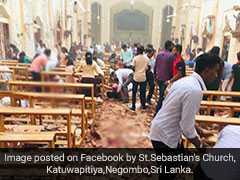 He hasn't been seen from or heard publicly on Tuesday, amid reports that he would speak to Rahul Gandhi on Tuesday afternoon. Mr Ibobi Singh has resigned as chief minister and dissolved his cabinet.